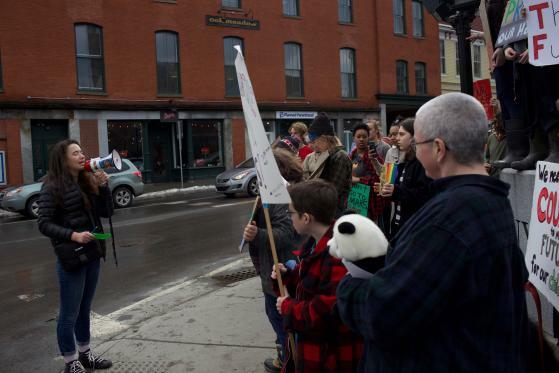 In other news from the Valley, on March 15 in Brattleboro there were three rallies to demand that politicians do more to stop climate change. Organizer Lucy Congleton, a student at the Brattleboro high school, told the Valley Post, "It went really well." Abigail Mnookin works for the Vermont chapter of 350.org. She estimated there were 75 people at the morning and midday rallies and 125 at the afternoon rally. The below photo shows the afternoon rally. Marco Yunga Tacuri took the photo. 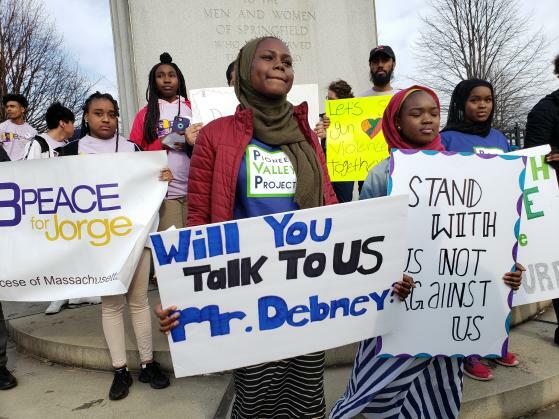 The same day in Amherst, more than 200 middle and high school students walked out of class to march for climate action. In other news from the Valley, on March 15 the Monadnock Conservancy announced it had permanently protected a 350 acre dairy farm in Westmoreland, New Hampshire. Westmoreland is about two miles from Brattleboro.